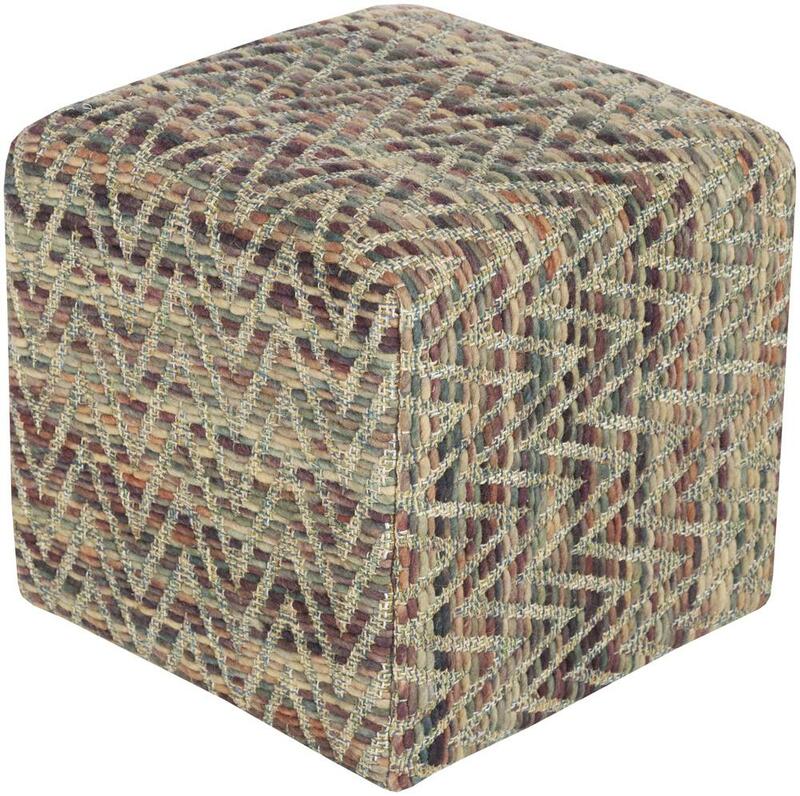 Offering elements of both texture and color brilliantly blended to craft a truly unique look, this exquisite pouf will fashion an ideal addition for your space. Made in India in 100% cotton, this perfect piece, with its trend worthy design and smooth hues effortlessly embodies a sense of chic charm from room to room within any home decor. Genuinely faultless in aspects of construction and style, this piece embodies impeccable artistry while maintaining principles of affordability and durable design, making it the ideal accessory for your décor. The Poufs 18" x 18" x 12" Dahlia Pouf by Surya at Miskelly Furniture in the Jackson, Pearl, Madison, Ridgeland, Flowood Mississippi area. Product availability may vary. Contact us for the most current availability on this product.